Joe Fairless and Ben Lapidus have set out to create a conference for real estate investors that is different than the ones they’d been going to. 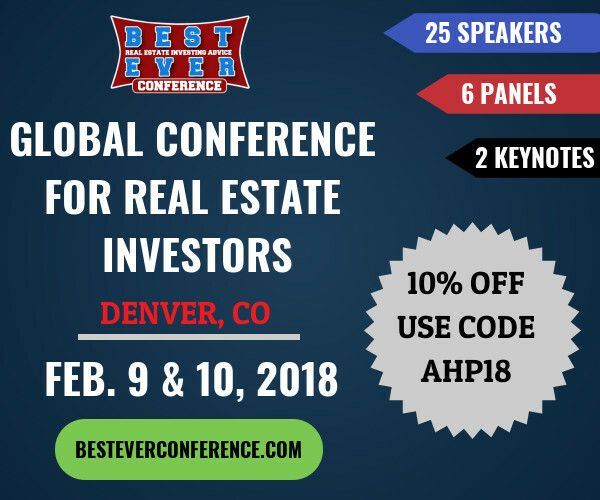 Last year’s inaugural Best Ever Conference was a success, selling out and earning accolades from its attendees. 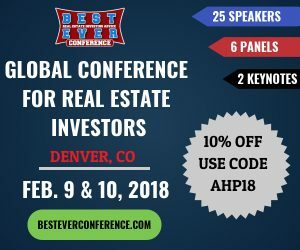 Now, the duo is bringing the event back for a sophomore run, February 9th and 10th in Denver, CO.
Fairless is best known as the host of the podcast Best Real Estate Investing Advice Ever,the longest-running daily real estate investing podcast of all time. He began real estate investing because it offered freedom from an ennui-filled day job. Fairless eventually quit his job to become a full-time real estate investor and scaled up to multifamily units. He became so successful at it that he eventually began teaching a course to investors in New York City, which is where he met Lapidus. Lapidus later sold his stake in the company and used the money to start purchasing properties. It was during this time, before he met Fairless, that the desire to create a new real estate investing conference arose. Going along with this, last year’s attendees were asked to give feedback on each of the speakers. Fairless and Lapidus used this feedback to select the best-received speakers and invite them back for this year. 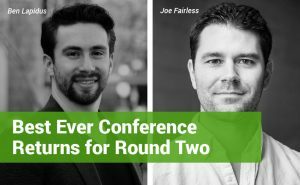 Aside from these few, every speaker at The Best Ever Conference 2018 is brand-new. With just over thirty days left until the conference, more than 85% of available tickets have been sold. This is after capacity more than doubled from the conference’s first year, to over 350. Both hosts are excited for what this means for the long-term potential of their conference. They foresee the Best Ever Conference returning again next year, if 2018 is as successful as they forecast, and continuing to grow. For 2019, they would like the capacity to go all the way up to 1,000 people, which may necessitate a move out of Denver. Lapidus mentioned Las Vegas as a possibility for the next year.